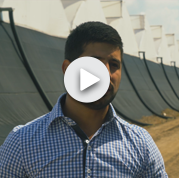 Watch Javier’s video-testimonial explaining how Tradecorp helped him to improve his crop quality and yield. Tradecorp is helping farmers around the world reach their goals in terms of crop quality and yield while simultaneously advancing towards more sustainable agricultural practices. In Mexico, we can observe one example of how Tradecorp’s products, along with the technical personalized service our company, provides has helped farmers not only meet their production needs, but increase their crop quality. In the following video, farm owner, Javier, comes from a family of farmers who have been working in the agricultural industry for generations. Due to his family´s history in the sector, they have seen a change in agricultural practices over the years due to innovative solutions on the market and ever advancing technology. With Tradecorp solutions, Javier´s bell pepper plants have been able to flourish under our climate’s changing conditions. He reports that with Tradecorp’s high quality products, he has been able to produce better quality crops, in a more sustainable way. Going hand in hand with our company mission; to provide nutritional performance solutions while simultaneously being conscious of the environment.